For decades, Austin’s (small) Asian community has yearned for more authentic restaurants, stores, and hangout spots. Unlike Houston’s Chinatown, known by locals as Bellaire Boulevard, Austin’s “Asiatown” is heavily lacking and decentralized. Bubble tea shops, grocery stores, and restaurants are scattered across the city. The local joints that are established are relatively small and cater to a pretty niche audience. Take, for example, Hana World, located off Parmer Lane. 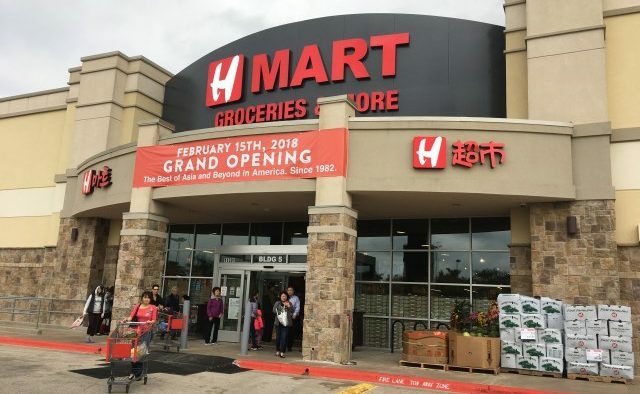 Before the advent of H-Mart, Hana World was the biggest Korean grocery in Austin. Every weekend, locals flocked to the store to replenish their fridges, stopping for a snack at the small food court. However, now, customers are infatuated with the shiny newness of H-Mart. 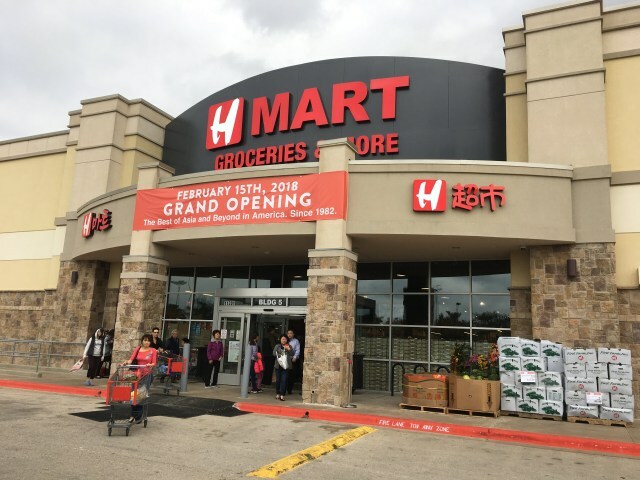 H-Mart markets itself as an “Asian grocery for everyone”, welcoming non-Asians by offering easy Korean food recipes and boasting an affordable, delicious food court. Walking into the new Austin branch, I was taken aback. The store was huge and even had a separate entrance for its famed food court. My peers immediately noticed that the clientele, surprisingly, was largely not Asian, but flocked to try the assortment of noodles, rice dishes, and traditional Korean foods sold in the food stalls. One of the stalls that caught my eye was Sunday Bird, a KFC (Korean Fried Chicken) place boasting only five options. In addition, a Korean street food stall called Mix enticed me and my peers towards its sweet aroma. In the end, we had spent our hard earned dollars on some KFC, kimbap (otherwise known as Korean sushi, minus the raw fish), bibimbap (a mixed rice dish), and dukbokki (rice cakes smothered in spicy sauce). Our wallets were only lightened slightly, but our stomachs and taste buds were highly satisfied. After our feast, we decided to check out the rest of the store. Aside from groceries, H-Mart also stocks tons of Korean cosmetics, K-Pop merchandise, clothing, and even homegoods. We ambled along a small storefront and cooed over the extremely cute stuffed animals and wide array of stationary. We gushed over the vast displays of cosmetics, which emphasize holistic approaches to skincare and natural, organic ingredients. Overall, exploring H-Mart was definitely a cultural getaway within the comfort of Austin, Texas. Though spending your Friday night at a Korean grocery store sounds odd and kind of lame, I highly encourage readers to look past the oddities for a chance of trying something new! And, if you really feel like you are missing out on hearing some live music on a hoppin’ Friday night, fear not! H-Mart also has a live music stage, featuring local musicians every night!